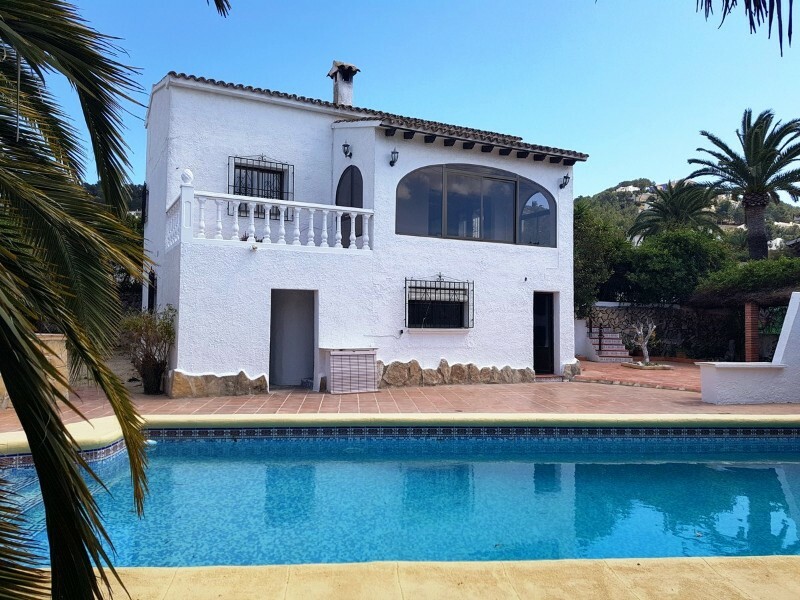 Fully renovated villa for sale in Moraira. This excellent fully renovated house ahs beautiful views to the sea and the Sierra de Bernia. 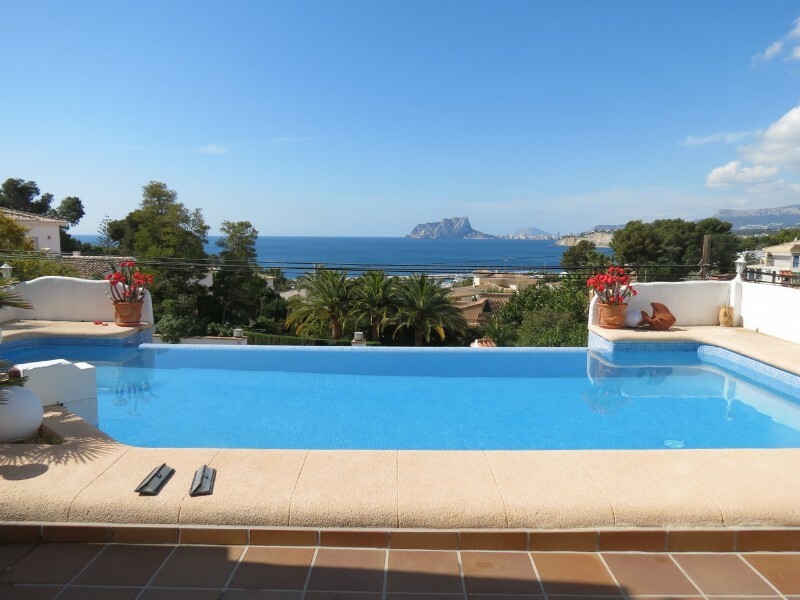 It is located in a central area which allows you to walk to the village of Moraira and the Playa of el Portet. The House was conceived in such a way to blend traditional style with modernity, mixing the natural with the modern tones. The result is a House with all the modern facilities in a green and relaxing setting. The villa also offers an ideal distribution. The main floor is accessed by 9 spacious steps. Through the main door we reach the entrance hall with guest toilet, and then turn into the spacious and bright lounge/dining room with large windows that give access to the partially covered terrace offering wonderful mountain, valley and sea views and which is facing to the southsouthwest which allows to receive the Sun practically all day. From the living/dining area at the other end is the modern fully equipped kitchen and with a door that leads to the rear and wide terrace where you can enjoy a sunny breakfast. On the same floor there is a bedroom with bathroom suite and we can go down the stairs to the ground floor which has 3 bedrooms, 2 bathrooms of which one ensuite, a living room with small kitchen, sliding doors to the pool area with spacious terraces and BBQ and shower. This floor gives access to the garage as well. The garden is nice and green with trees and is easy to maintain. Further features: completely central heated, pellet burner in main lounge and airconditioning.